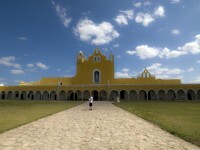 Mexico is a beautifully diverse country and a beloved tourist destination. It has everything you need for a magical holiday. 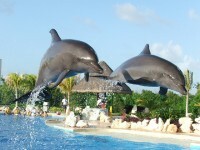 But it is not only an excellent place for your summer vacation, it can be a perfect honeymoon destination as well. 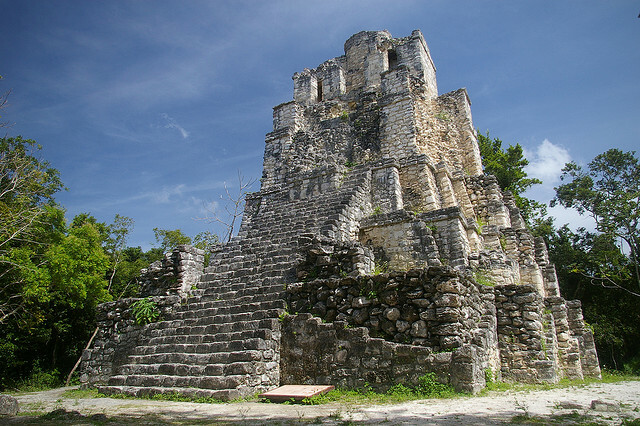 We created a list of 15 reasons to spend your honeymoon in Sian Ka’an, the secret paradise of Mexico. Lonely beaches, coral reefs, mangrove swamps and Mayan artifacts hidden behind the curtains of tropical vegetation are waiting to be discovered by the lovers of ecotourism and outdoor adventure. If you are one of those couples, this is a perfect Mexican honeymoon destination for you. On the east coast of the Yucatan peninsula, near the ruins at Tulum, Mexico hides one of the greatest natural treasures of the American continent, well preserved and protected by UNESCO. 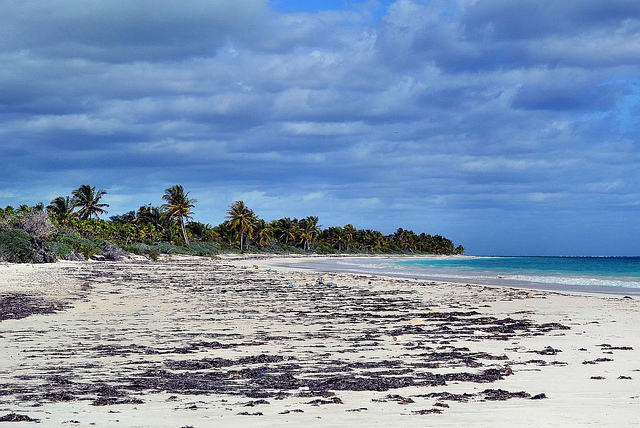 SianKa’an is the largest biosphere reserve in the Caribbean, with 500,000 acres of wild and unexplored nature. 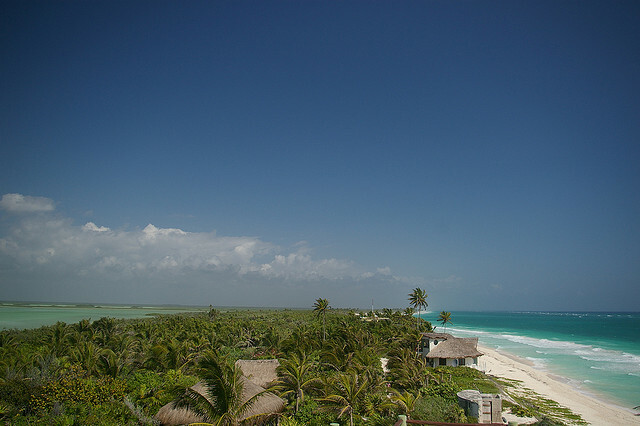 In the language of the Mayan people that once inhabited this region Sian Ka’an means “the place where the sky is born”. This name seems to be very appropriate as you once have a view of the area from the top floor of the ecological center. It is a magical place for a honeymoon in Mexico. 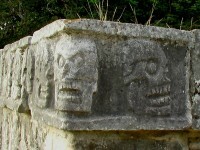 The ancient sanctuary of Muyil is the best preserved site in this part of Mexico. The area includes jungles, beaches, savannas, swamps, lagoons with brackish or fresh water, underground rivers, untouched coral reefs, over 100 species of mammals, over 300 species of birds, and about 20 archeological sites. The water dipped in the soluble calcareous stone forming the so-called cenotes, the natural wells that continue underground with caves and tortuous galleries full of absolutely spectacular stalactites and stalagmites. 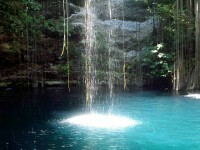 These cenotes are surely one of the best reasons to spend your honeymoon in Sian Ka’an. In the past these were drinking water reservoirs of the Mayans, and were also considered entrances to the imfra-world useing them for rituals. 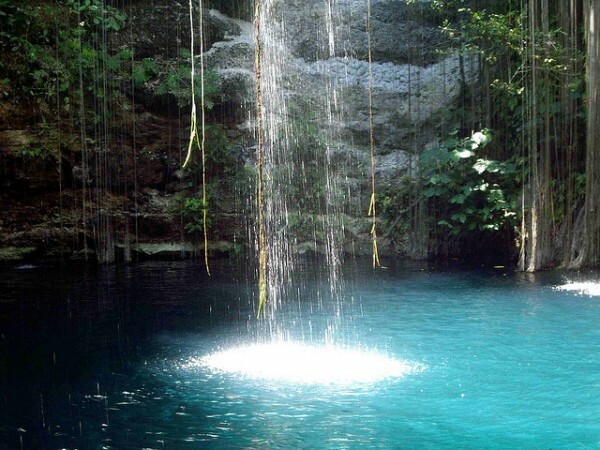 Today the magical natural landscape of the cenotes with their clear water with a constant temperature of around 25 Celsius degrees and a visibility up to 150 meters, attracts many tourists for diving and swimming. Sian Ka’an is the right destination for those looking to escape the crowded big cities and be immersed in the rich vegetation of the rainforests or to relax on the beach under an umbrella of reed during their Mexican honeymoon. Either you climb into a jeep and walk along the forest paths, either you take a boat and go in the search of the perfect beach, you will be surprised by the wealth of wildlife that you will encounter at every step. Birds like flamingos, parrots and toucans will charm you with their colorful feathers. 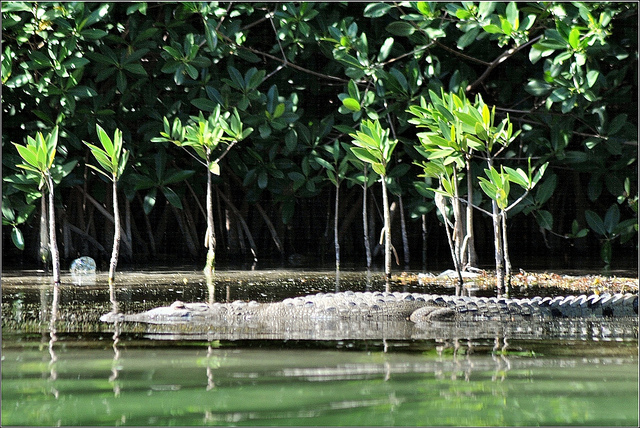 But because in the reserve besides the harmless turtles, you can also meet monkeys, jaguars, pumas and alligators, it’s the best to seek the help of local guides. If you are not very exigent tourists, you will find the thatched bungalows absolutely charming. You can participate at various organized tours, you can go kayaking on the mangrove fringed channels to the Campechen lagoons or Muyil (where there are also ancient Mayan temples), or you can fish and explore the reef in the Ascension Bay.